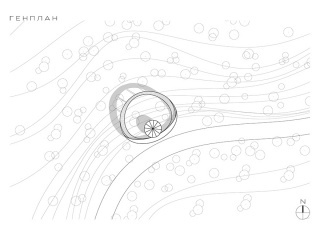 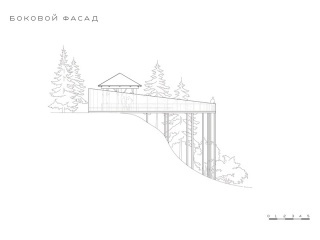 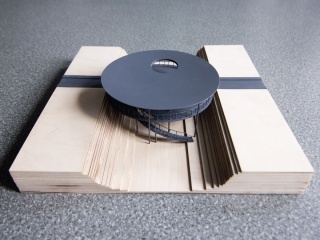 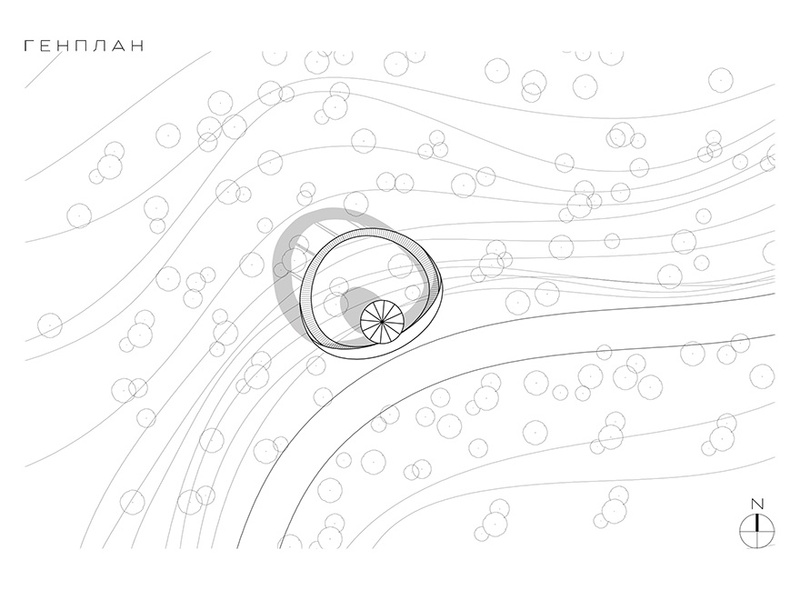 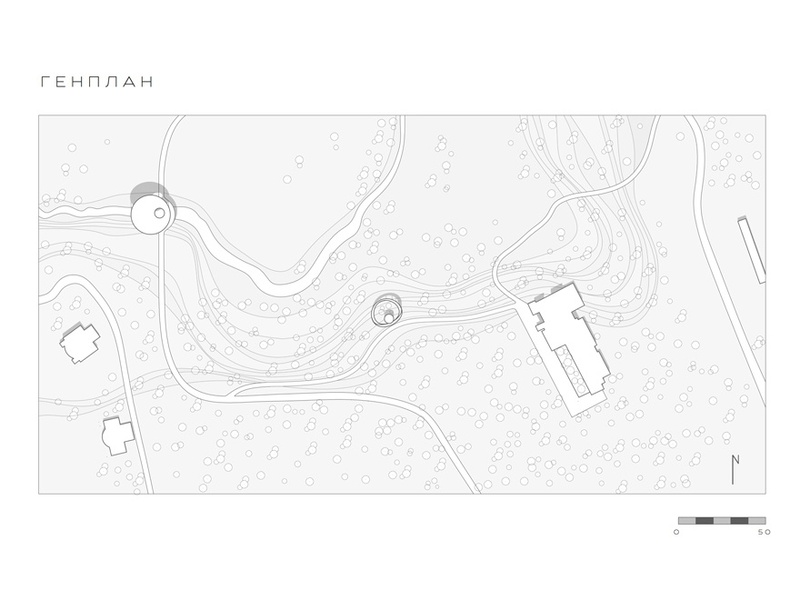 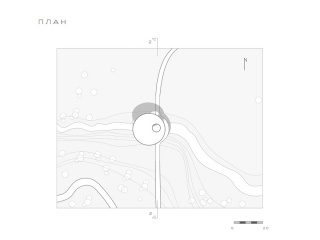 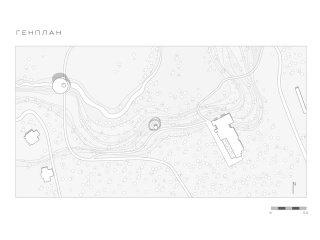 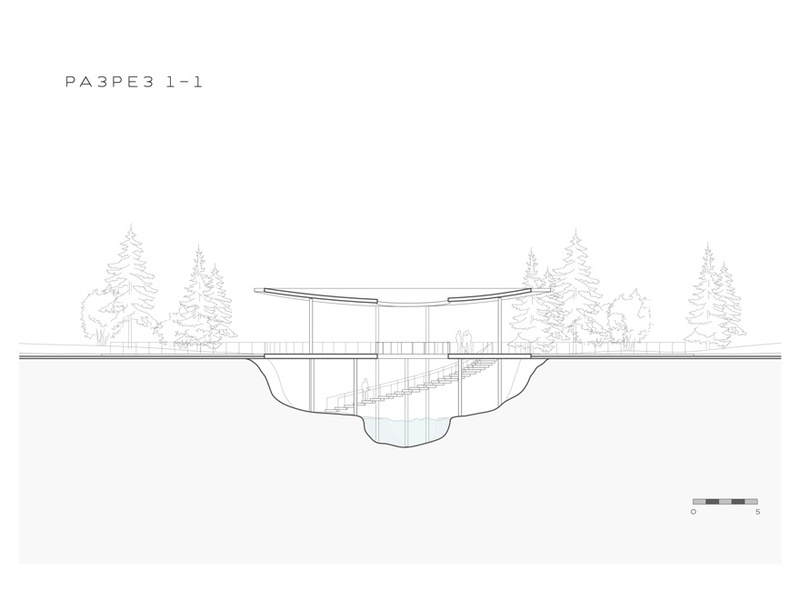 Two pavilions are located near each on private residential grounds near Moscow. 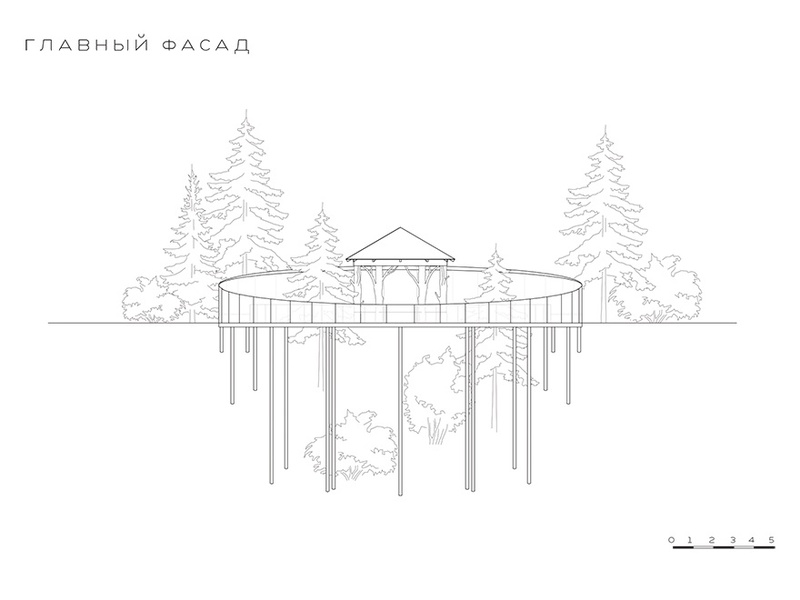 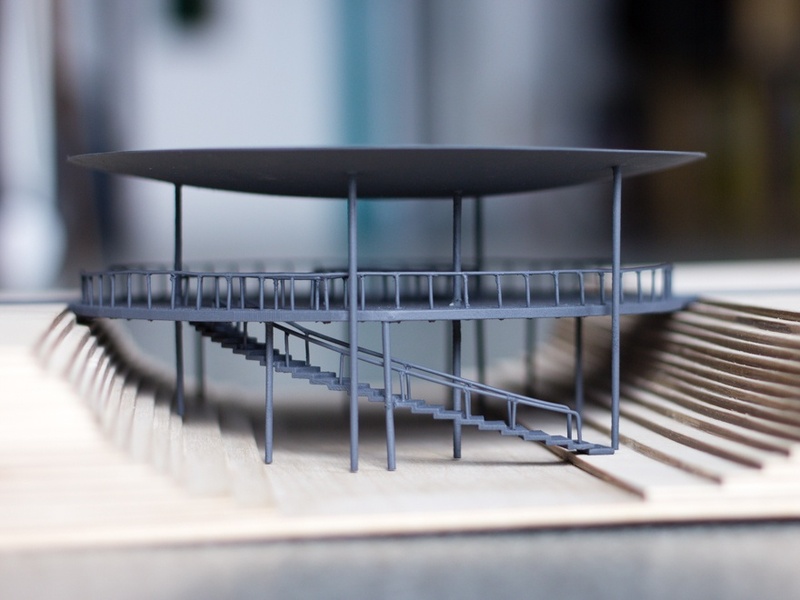 The first pavilion is a light pergola combined with a bridge over a small stream. 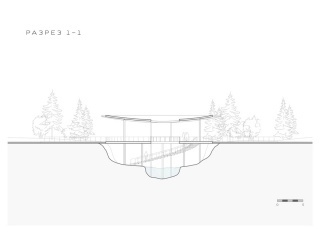 The form invites the traveller to stop on the bridge and enjoy the stream below, walk down to its edge, or observe the rain on the landscape from underneath its gently sloping shell. 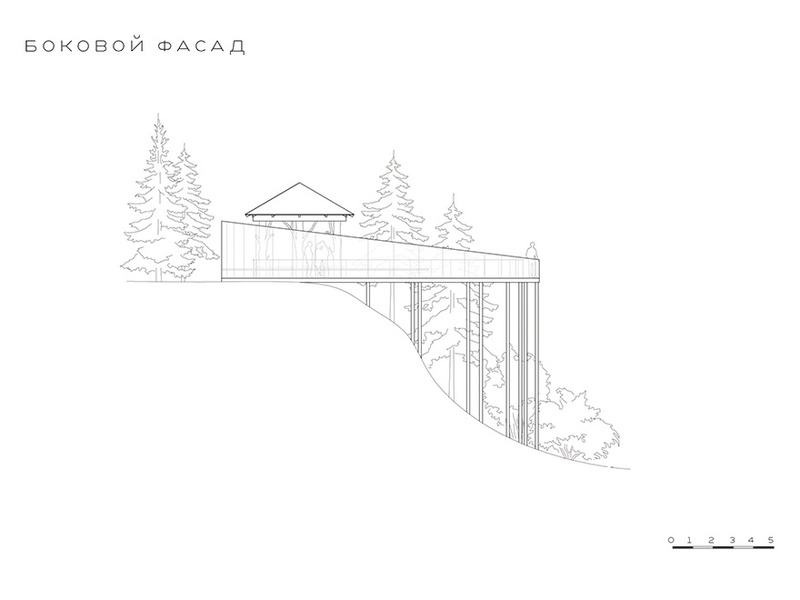 The second pavilion is an addition to a historic log structure which the client wished to preserve. 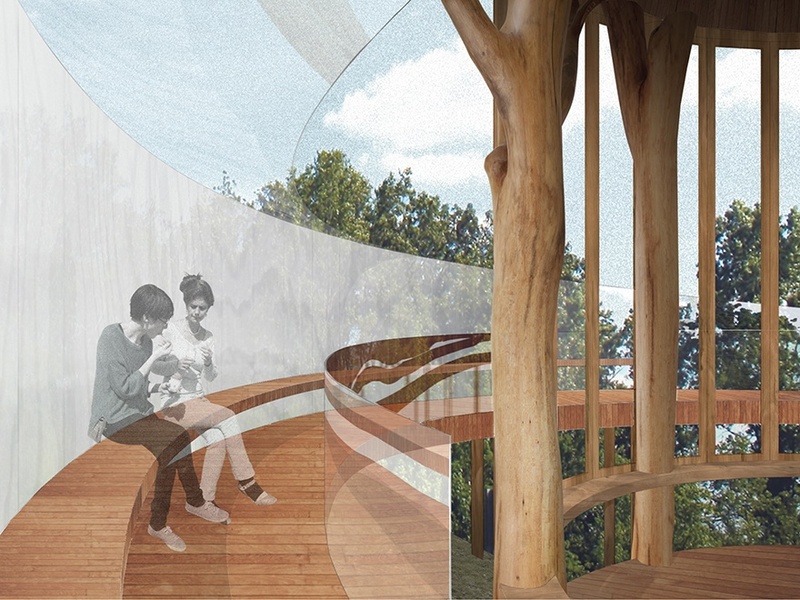 A light walking bridge encircles the old pavilion and takes the visitors through the surrounding tree tops to admire the view beyond. 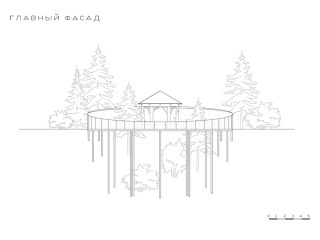 The first pavilion is a light pergola combined with a bridge over a small stream. 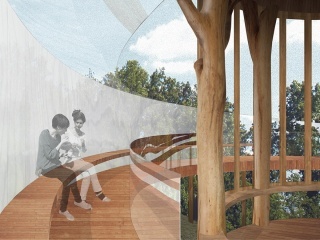 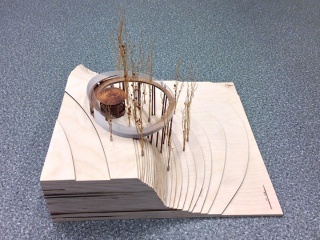 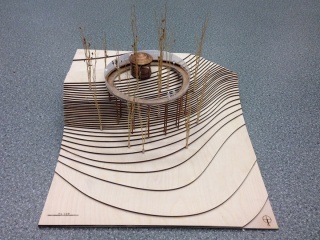 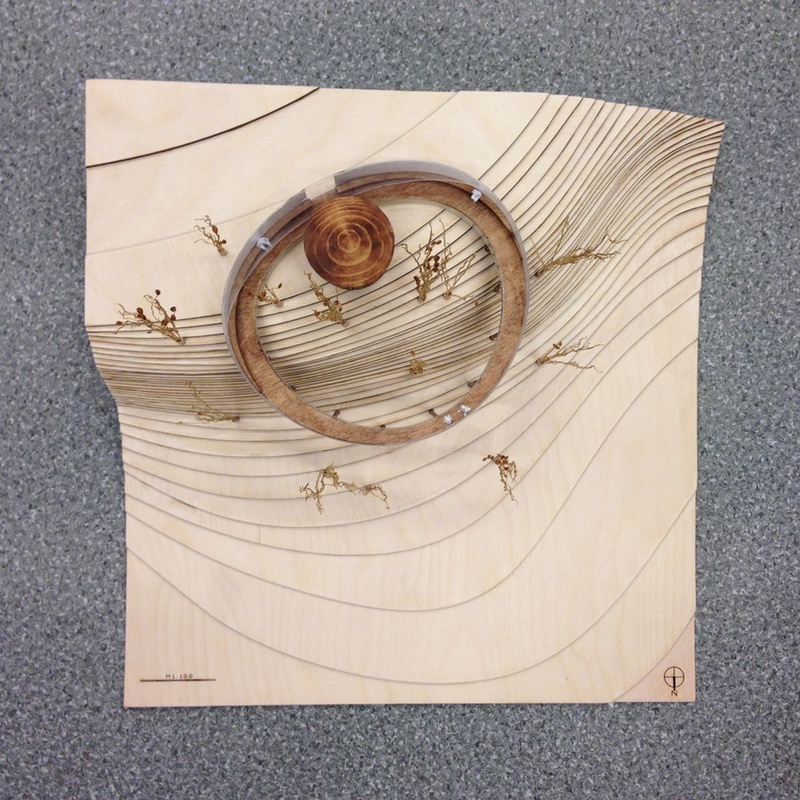 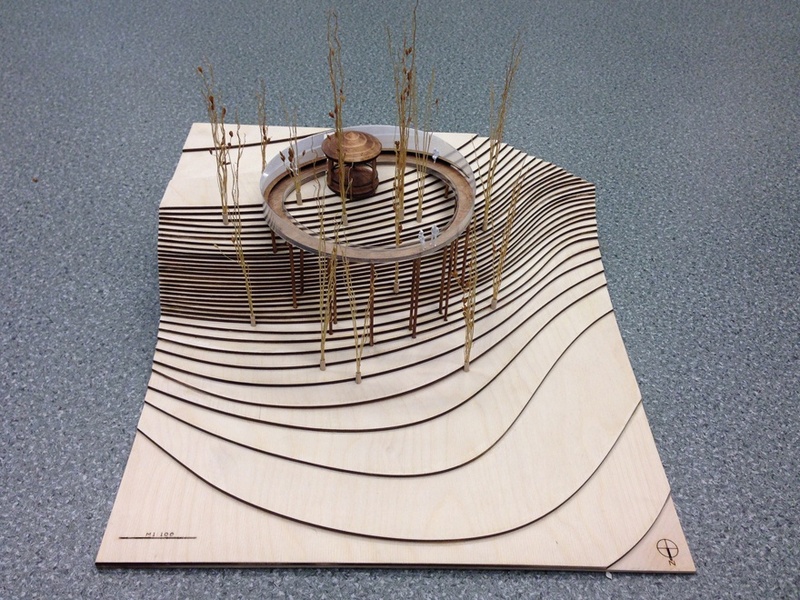 The second pavilion is an addition to a historic log structure which offers a walk through the treetops.